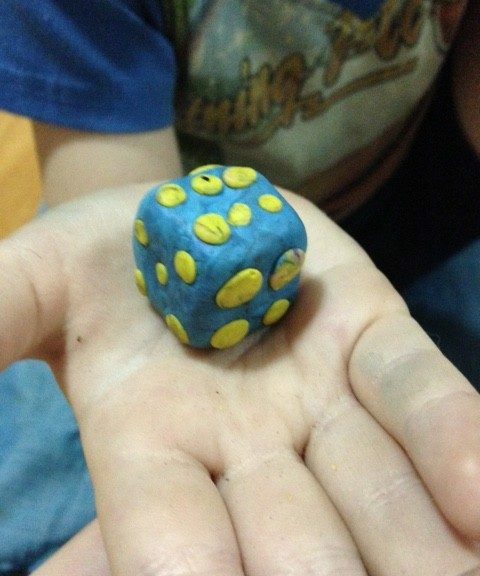 Children's creativity Games for children with their own hands. Board Game. Games for children with their own hands. Board Game. I already wrote about what kind of board games foryour children you can just do it yourself. Today I will show you how we are with my son, his name is Yaroslav, we made a game - walker. 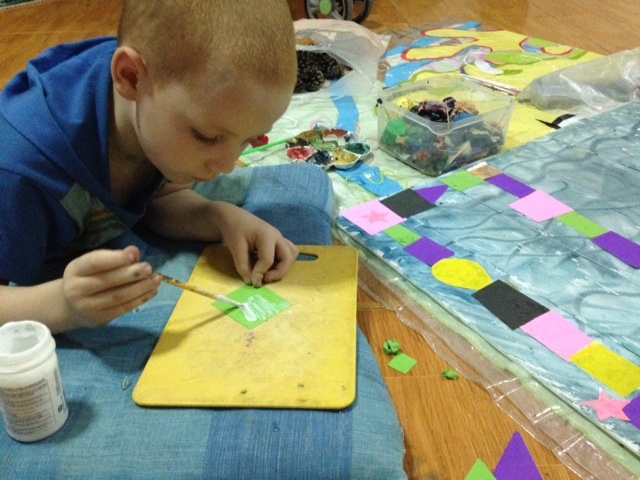 My baby was very involved in the creation of our game, he was pleased to paint the field, cut out and pasted islands. 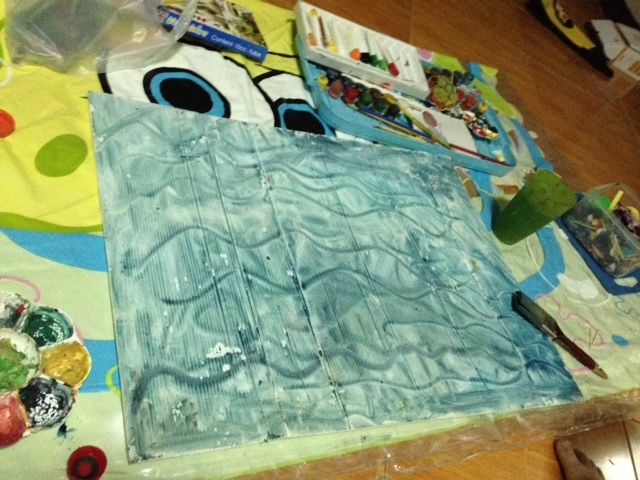 We decided to make a game on the sea theme, because Yarik loves the sea and boats. 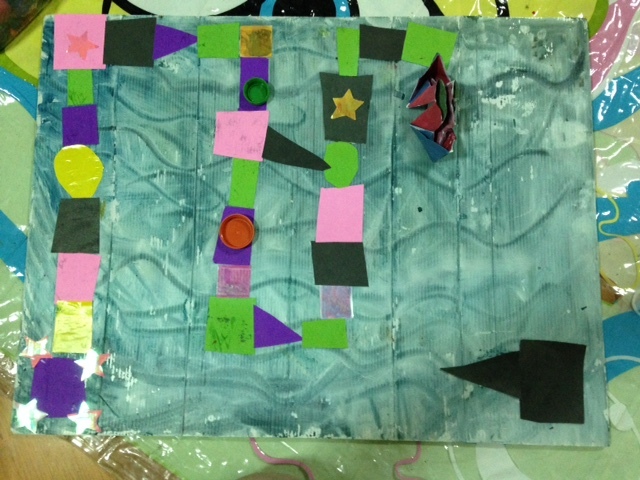 We needed: a large field (we had a white plastic board, but you can use ordinary cardboard, gluing several sheets of Scotch tape if you want to make a great game), paints, brushes, glue, scissors, colored paper and shiny paper. First we painted the field, painted waves on it. 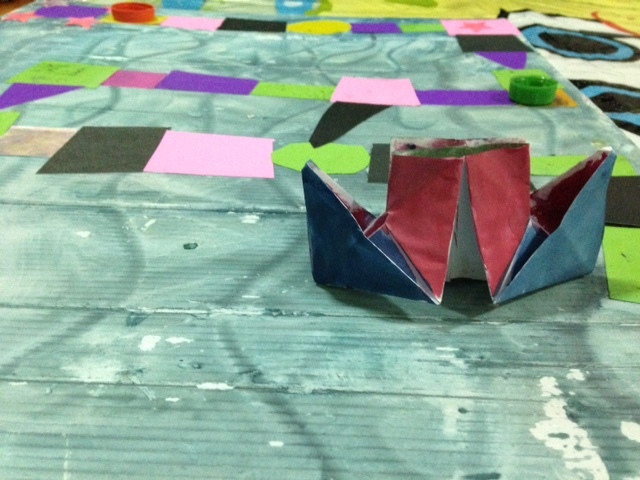 Then, while the field dries, we cut several pieces of paper - these are islets. Yarik smeared each piece and stuck it on the field. Some islets in the game are special. For example - if you get up on a piece with an asterisk, then you go again. Also in our board game there are triangular islets - arrows, they mean that you need to step over to the next one. And when the islands end, we sit on the boat, and he takes the winner to the pier. 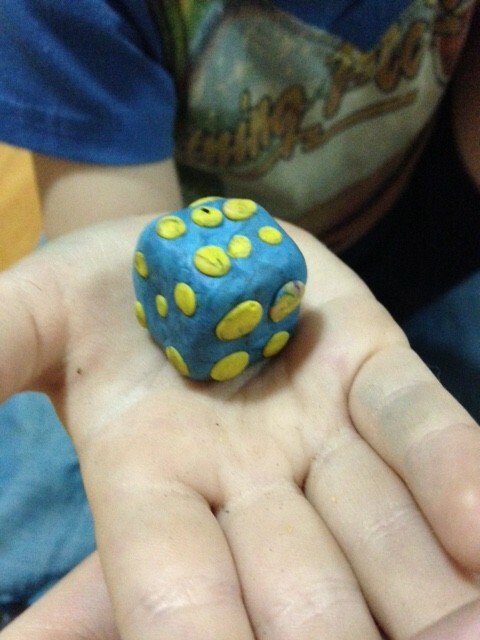 We made a dice from plasticine. This hand-crafted article is very simple, even for children. 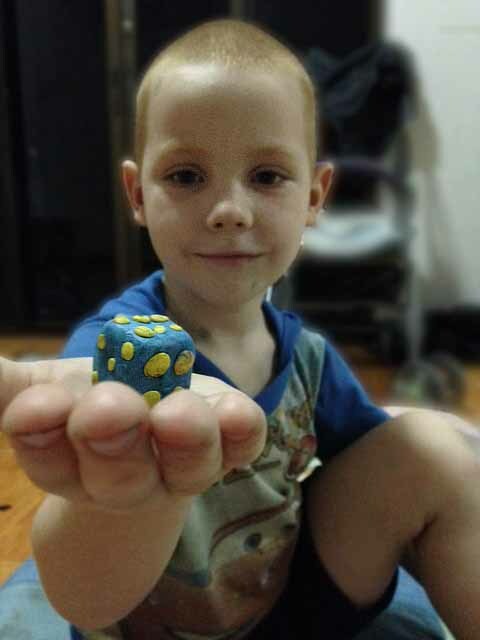 If you also do a board game (walker orany other games and handmade items) with your own hands for your children, then send your photos to podelkisvoimirukami@mail.ru (the description is welcome), and I will post them in a separate article on our website. What to make of a throwout material. Celebration with your own hands. Congratulations, games for children in nature. Crafts from boxes with their own hands. Diorama for children Ideas for the board game with their own hands. Set for playing tic-tac-toe with your own hands Masks for children with their own hands. Crafts for May 9. A three-dimensional postcard on the Victory Day with your own hands. Crafts made of cardboard. How to make a lock yourself.